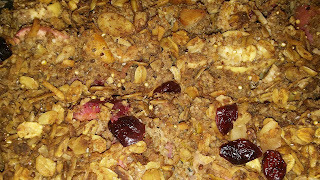 I made a great apple crisp out of homemade granola and a variety of apples and a few small home grown pears. 6 cups of old fashioned oats. Stir the ingredients in a mixing bowl. Get a cookie sheet covered with aluminum foil. Put the mixture on it and place in oven. 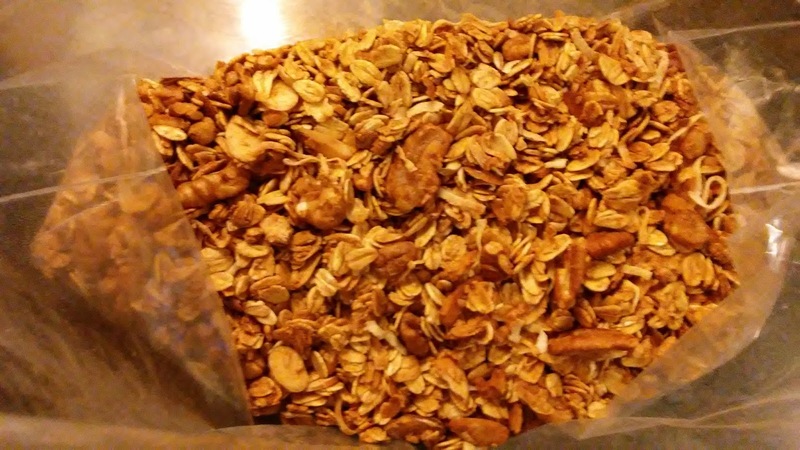 Place the cooled granola in a plastic bag and eat. Peal the apples and slice thin, cube the pears into small pieces. Add a quarter cup of coconut oil that is warmed to liquid state. Stir the granola flour and oil together . 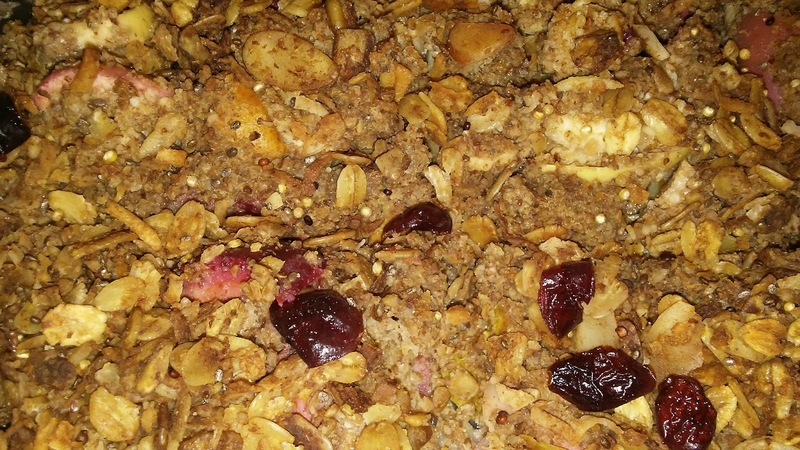 Place granola flour mixture in a glass baking dish.